Beautiful pink bouquet adds color to Shiori's Bride photo at Kaimana Beach. 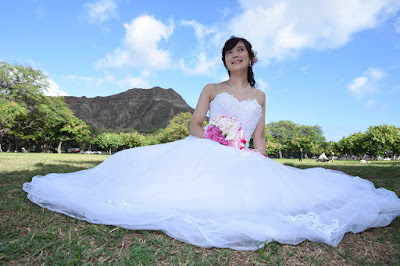 Shiori gives us her "princess pose" at Kapiolani Park with Diamond Head backdrop. Sweet smiles make brides so beautiful!